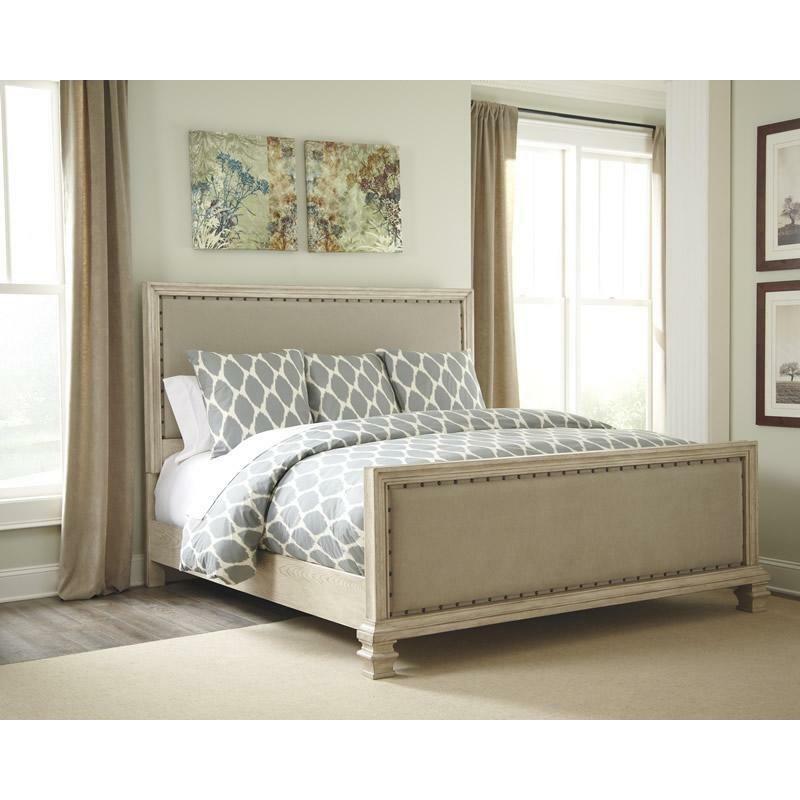 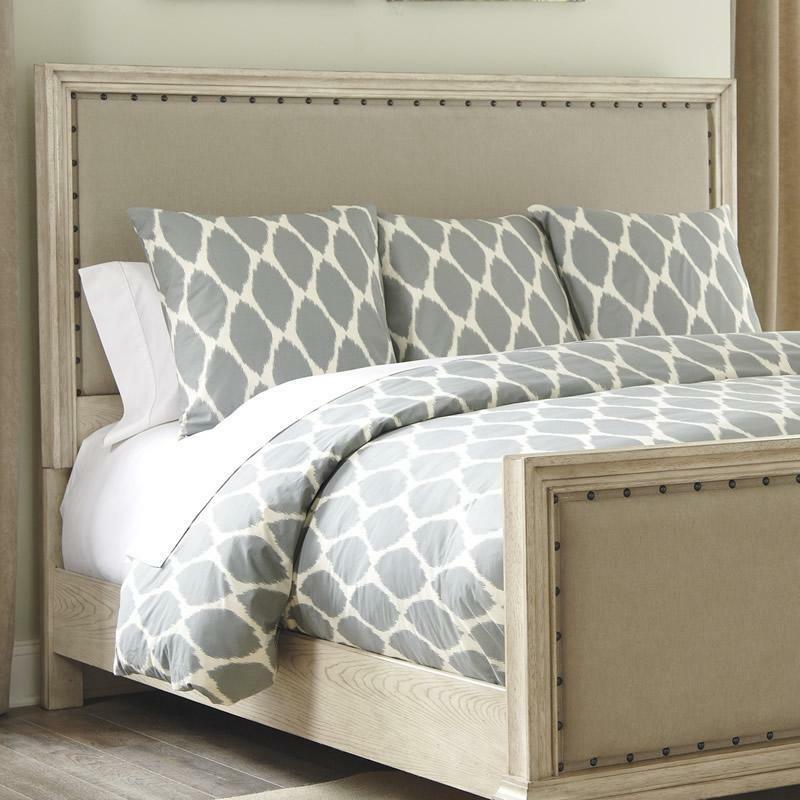 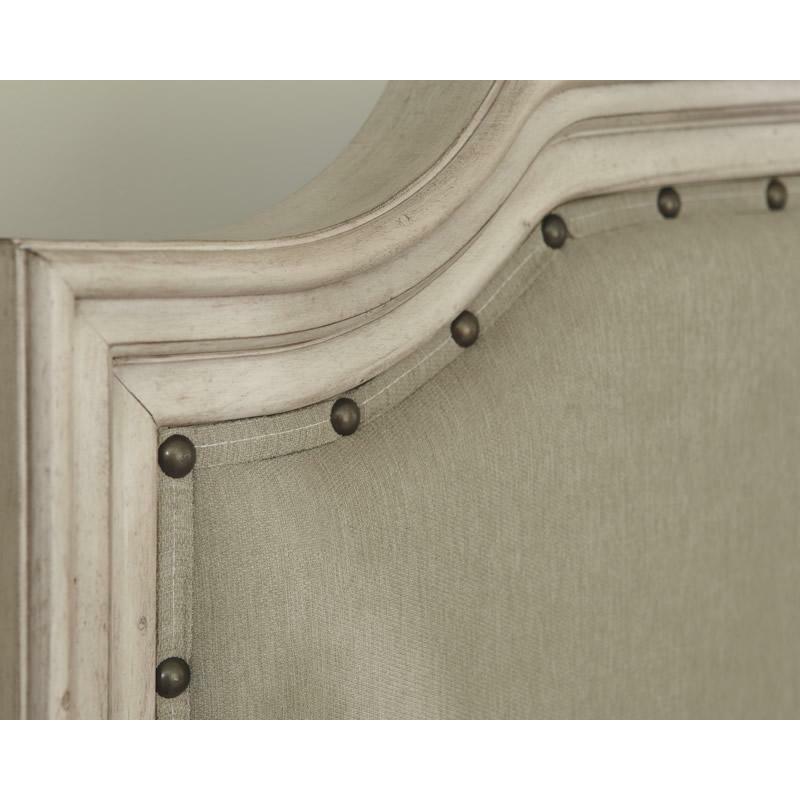 With the rustic beauty of the gently distressed parchment white finish perfectly highlighting the elegant look of the framed pilaster mouldings, the Ashley Signature Design “Demarlos” King Panel Bed features large scaled headboard frames surrounding the nicely crowned textured upholstered cushion with bands and nail accent to complete the Vintage Casual look. 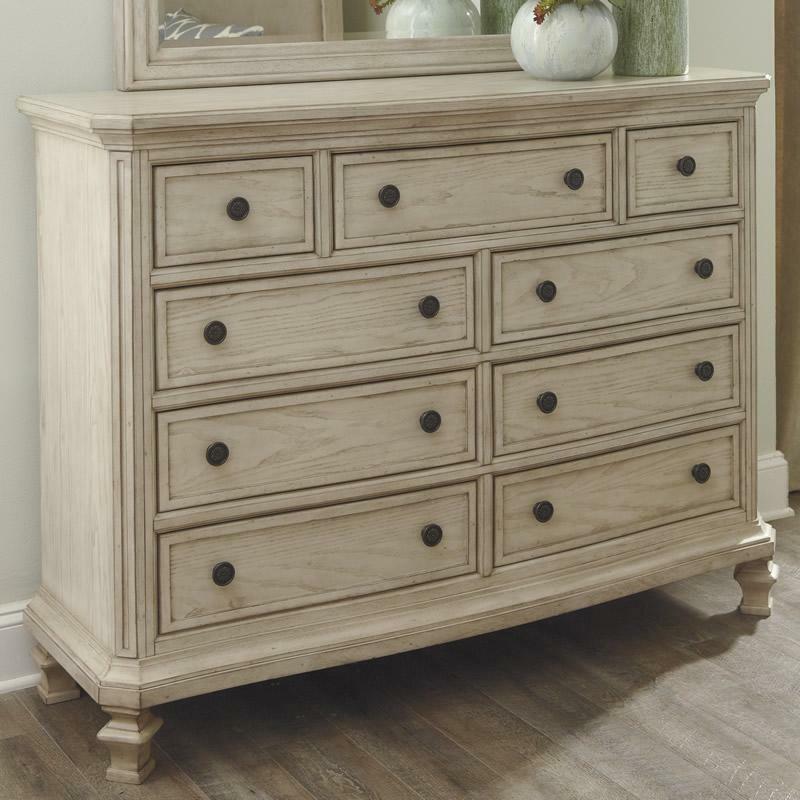 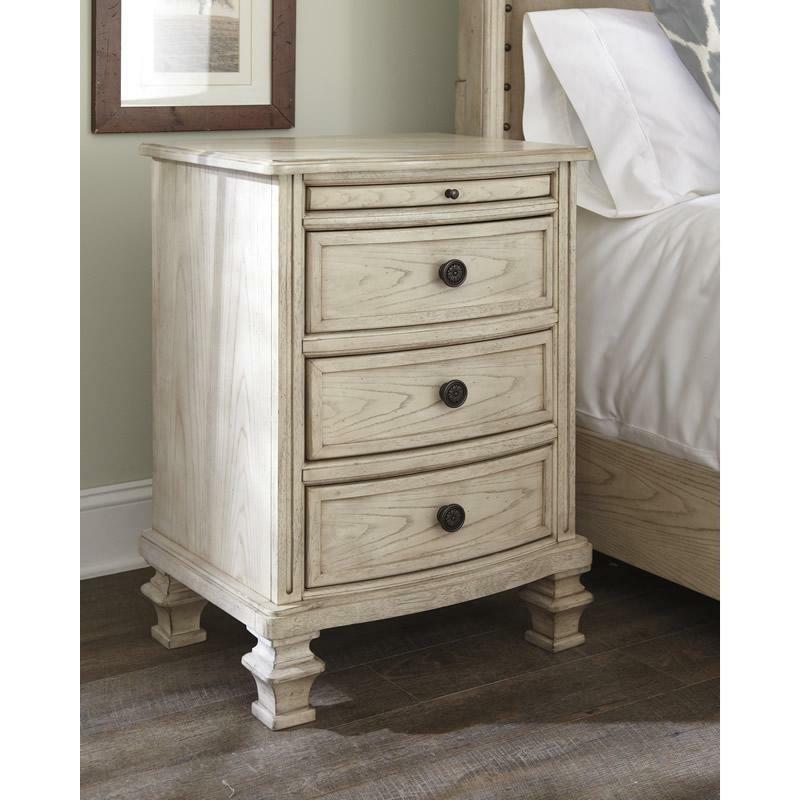 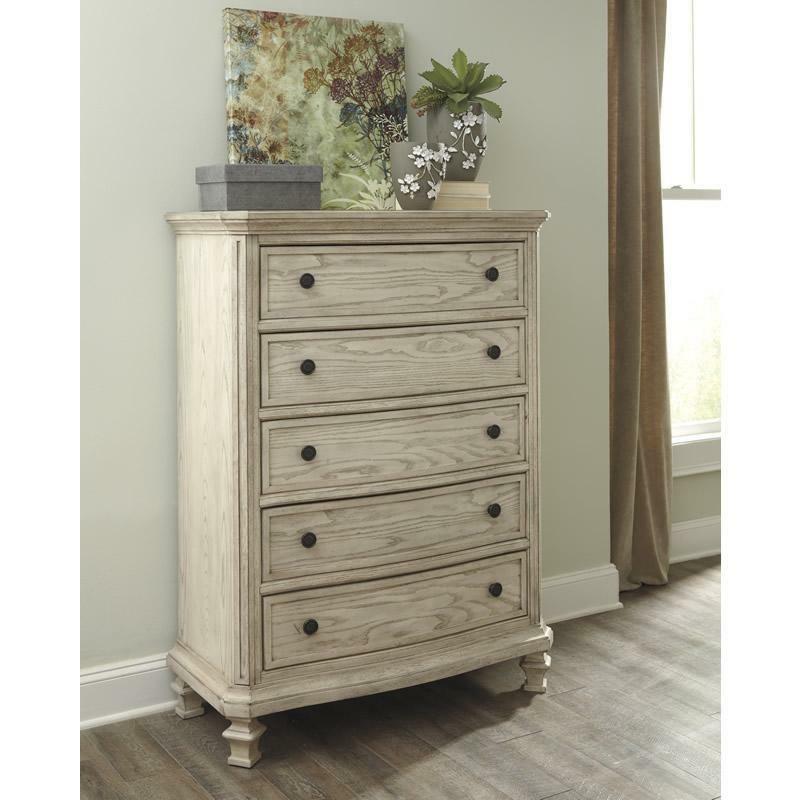 The Ashley Signature Design “Demarlos” Dresser features the rustic beauty of the gently distressed parchment white finish perfectly highlighting the elegant look of this furniture. 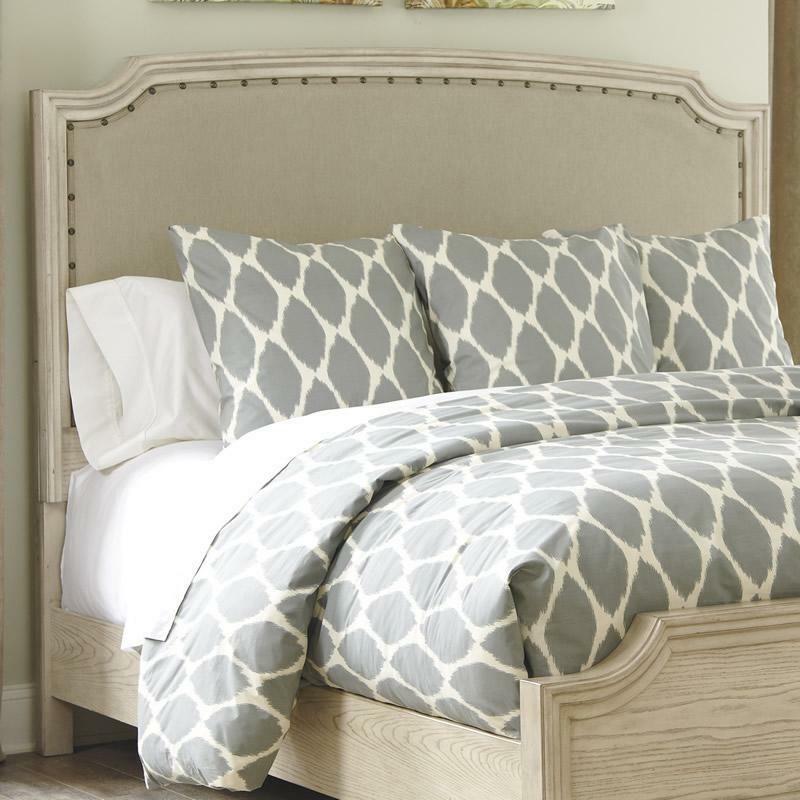 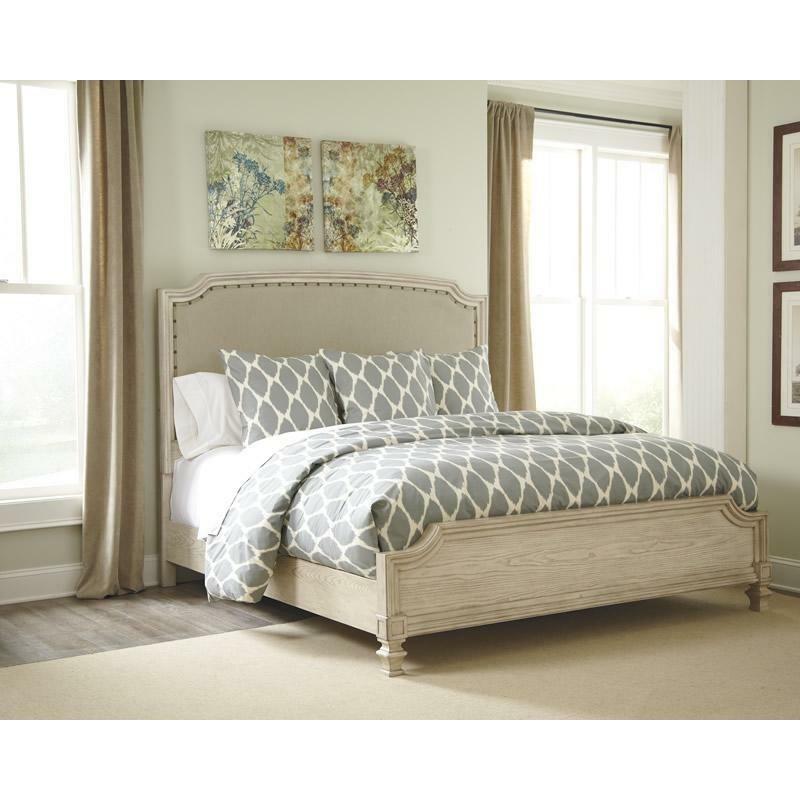 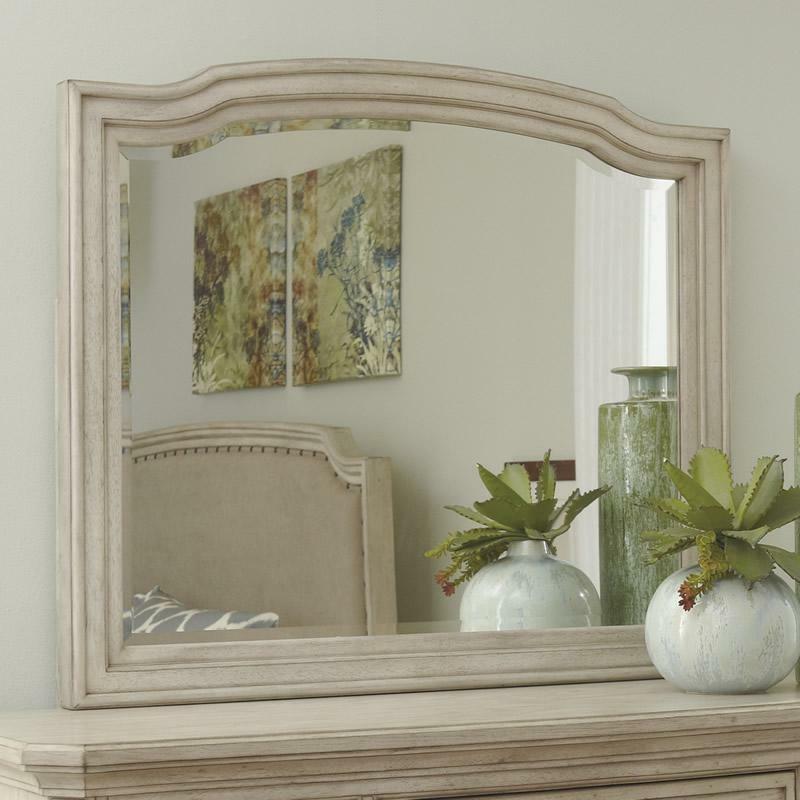 The Ashley Signature Design “Demarlos” Bedroom Mirror features the rustic beauty of the gently distressed parchment white finish perfectly highlighting the elegant look of this furniture. 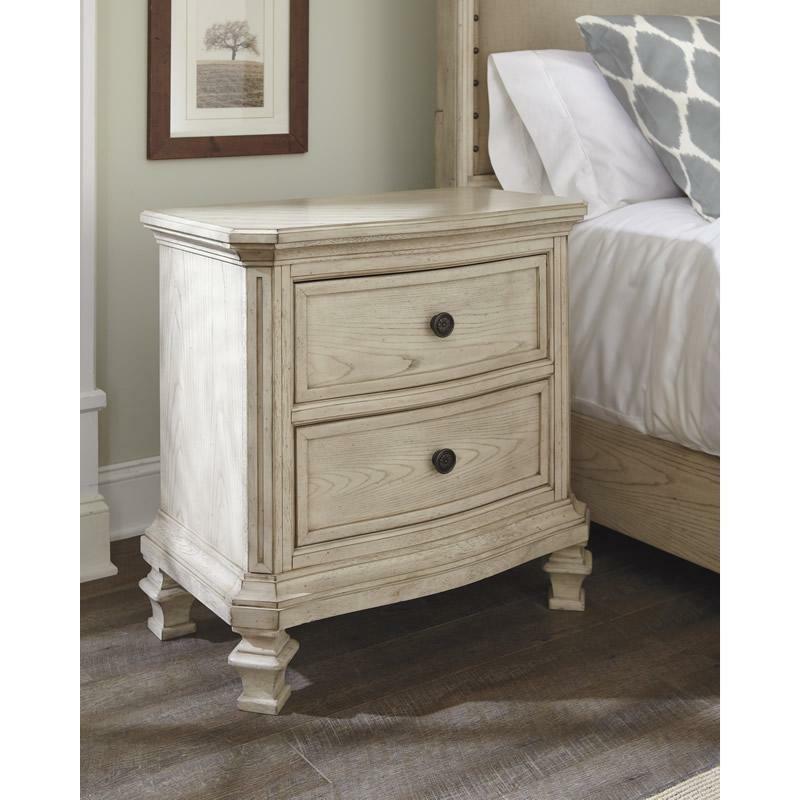 The Ashley Signature Design “Demarlos” Night Table features the rustic beauty of the gently distressed parchment white finish perfectly highlighting the elegant look of this furniture.